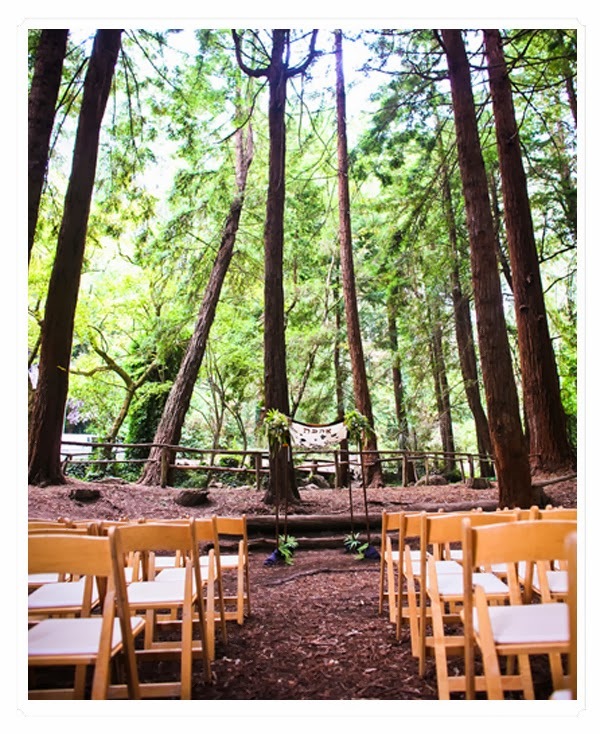 Imagine how beautiful it would be to have a forest theme wedding. The soothing natural colors, the charming woodland creatures, and the abundance of rich textures would all combine to make a truly delightful experience. 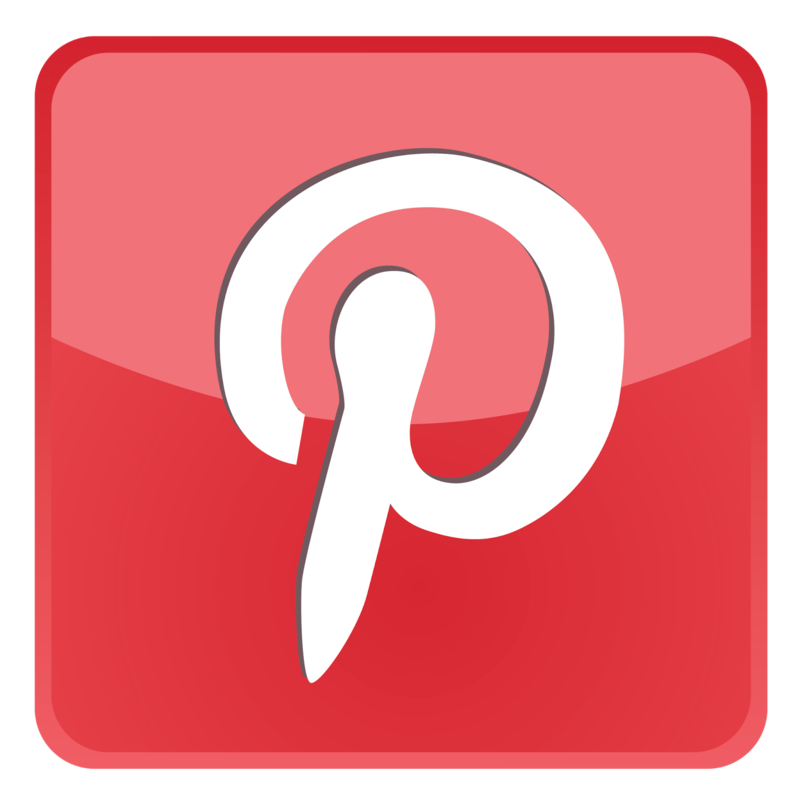 These are some ideas and inspiration on how to design a forest theme wedding. As with most weddings, the place to begin is by selecting your wedding colors. For a forest theme wedding, choose rich colors like chocolate brown, moss green, and touches of gold (either metallic or not). These colors will be equally at home in an actual forest clearing or in a more conventional indoor reception site. Chocolate, moss, and gold can also be used for any season; change the tone by fabric selection. For instance, in the autumn or winter, you could use sumptuous materials like velvet and shantung, whereas in the spring or summer, things can be lightened up a bit with organza or chiffon. Introduce both the wedding colors and theme with your invitations. 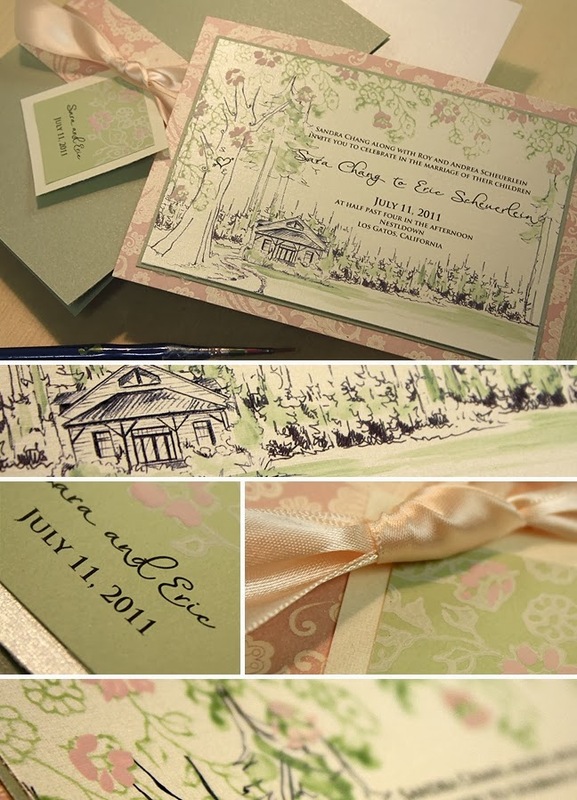 The forest theme brings to mind many excellent wedding invitation designs. For a fall or winter wedding, an image of a cluster of pinecones would be beautiful in a corner of the stationery. In the spring, a bird in a nest motif would be charming, and of course invitations with trees would be perfect in any season. Letterpress would be a beautiful way to create the motifs and lettering on the invitations. Choose an envelope lining in one of your accent colors. For the wedding attire, something a bit non-traditional would best suit a forest theme. Think romantic and soft, maybe a bit ethereal. The satin ballgown is definitely out. 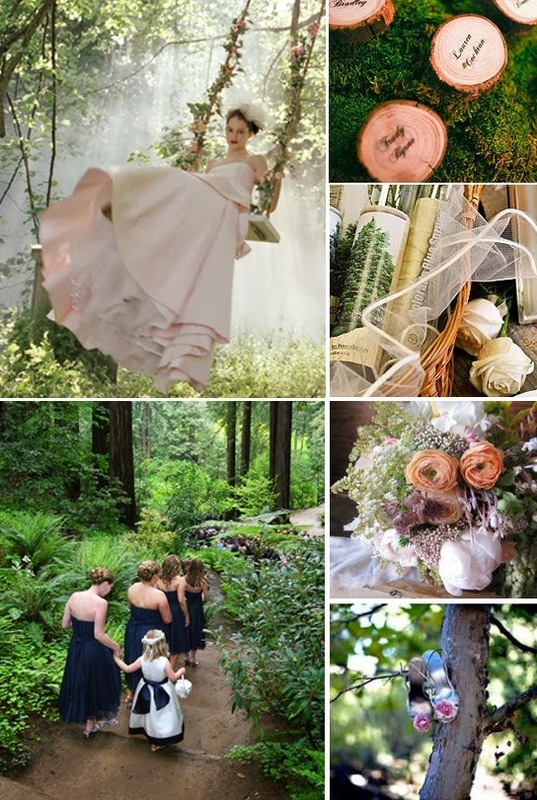 You could use a couple of different inspirations for a forest-y wedding gown. One would be the dreamy woodland fairy and another would be the more down-to-earth but romantic Robin Hood style. The bridesmaids' dresses would be gorgeous in a moss green with chocolate colored accents. Topaz colored crystal bridesmaid jewelry would be a stunning accent or choose Swarovski crystal leaf pendants and earrings as the bridesmaid jewelry. 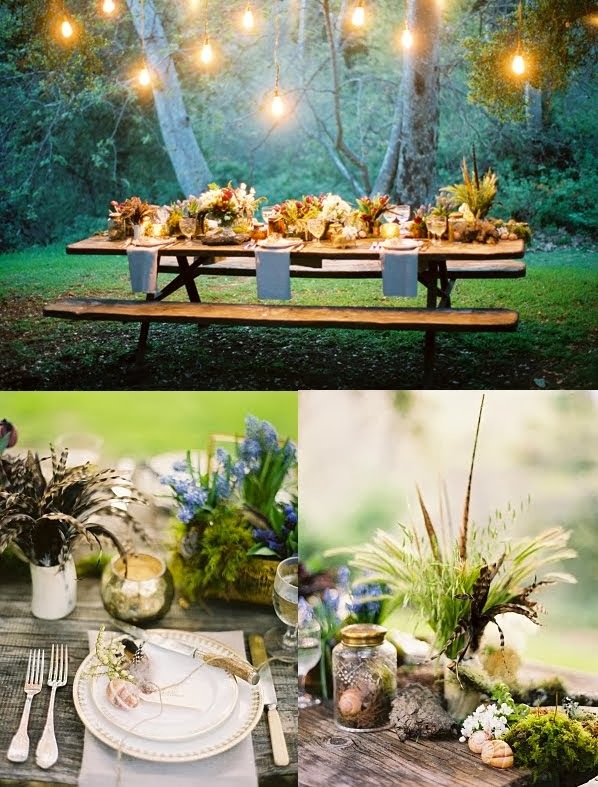 Decorating the ceremony and reception sites for a forest theme wedding will be really fun! Gather natural materials such as pinecones, moss, and branches as your primary materials. You can go with a very rustic feeling or take the theme in a more elegant direction by adding touches of metallic gold. Of course the ideal place for a forest theme wedding would be a clearing in an actual forest, but you can also transform an indoor setting by bringing in all of the natural elements. Gobo lights projecting tree shadows onto the walls of a tent or ballroom would be a wonderful detail. 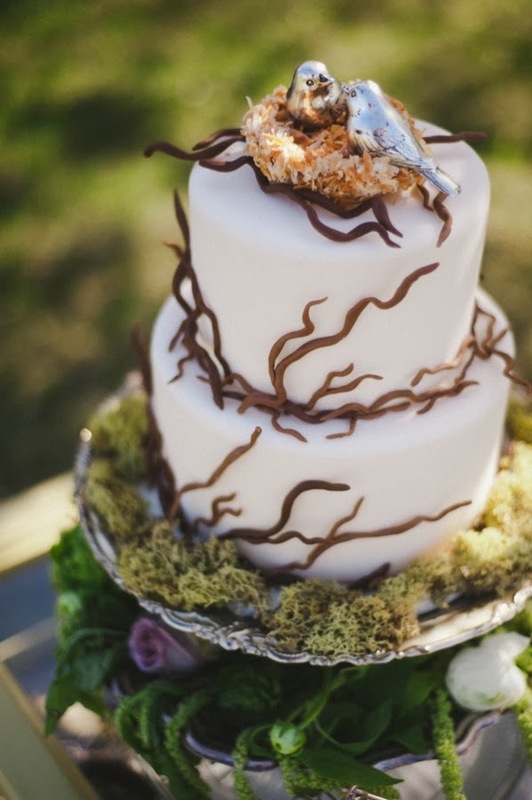 Bring the forest theme to life on your wedding cake. A pair of handcrafted birds nesting on top of a cake with textured frosting (not fondant) would be charming. Or decorate your cake with whimsical marzipan mushrooms. 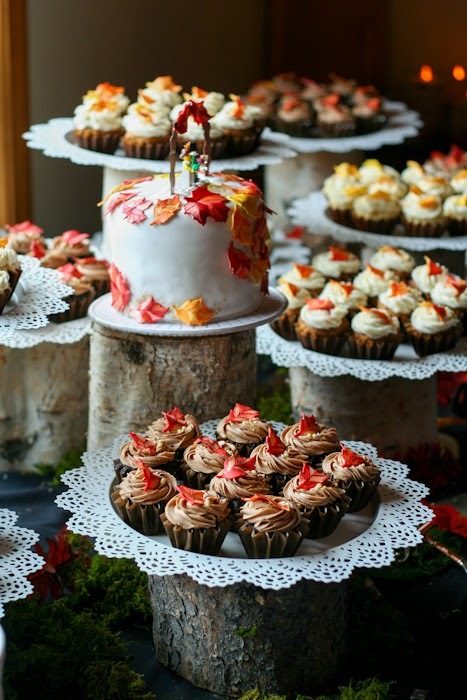 A pinecone design would be perfect for an elegant yet woodsy cake or have fun creating the wedding version of a yule log, complete with chocolate frosting textured to resemble bark. 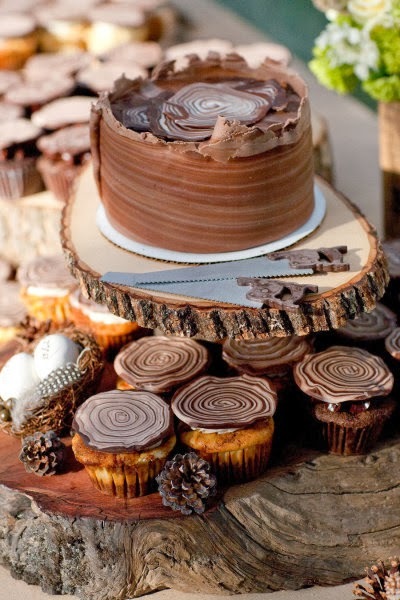 Any of these cakes would be the perfect ending to a forest theme wedding.